The Freedom From Religion Foundation has successfully stopped the Indianapolis Metropolitan Police Department from promoting religion through its government email server. FFRF was contacted by a concerned local resident after an email to city employees was sent by IMPD Police Chief Bryan Roach in March promoting an event. The email concluded with a scripture verse from 1 Thessalonians 5:14 and 5:15 in the New Testament for "encouragement and guidance." FFRF's Elaine and Eric Stone Legal Fellow Ryan Jayne contacted Roach requesting assurance that bible verses would not be included in future emails sent from the police department's email address. "It is inappropriate to use an official government email to promote a particular religious text as a source of guidance. Emails sent from your government email address are attributable to the IMPD, which may not endorse the New Testament," wrote Jayne in a letter sent in March to Roach. FFRF received notice on May 16 that future emails sent from Roach's government email address would not include religious references. A letter from the police department's legal advisor informed FFRF that Roach recognizes that religion is a divisive subject and legal principles prohibit government promotion of religion. 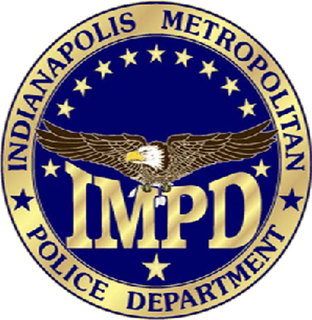 "Sending out Christian messages using governmental email unconstitutionally merges the official secular business of the Indianapolis Metropolitan Police Department with the divisive force of religion," says FFRF Co-President Annie-Laurie Gaylor. "The department serves all Indianapolis citizens, not just Christians. It did the right thing by agreeing to end references to scripture in its emails." The Freedom From Religion Foundation is a nationwide nonprofit organization, with more than 29,000 nonreligious members and chapters nationwide including 420-plus members in Indiana.